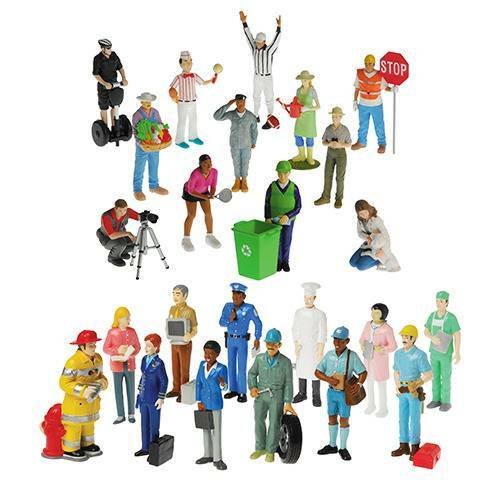 Most figures are 5" T.
Bring to life a child's block city with this super set of professional figures. These 24 career figures reflect the community and the people in the world around us, including a firefighter, photographer, vet, mail carrier and farmer. Most figures are 5" H. and are made of solid vinyl.